After earning enough that one could spend the rest of his or her life in a yacht, millionaires and billionaires invest money in different sectors of industries; some do it to deepen their pockets further, some do it because it is a challenge, while others have more humane goals in mind. 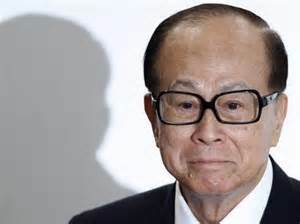 Li Ka-shing, the 85-year-old richest man in Asia worth as estimate US$29 billion, is famous for investing in tech firms and for discerning the rise and fall of industry trends. Although, Li Ka-shing is known for other activities as well, but the most prominent among the activities is his prudent investments. Hutchison Whampoa Ltd, Li Ka-shing’s firm confirmed that Li Ka-shing has invested in the development of a new mobile operating system, that could potentially compete with Android and iOS, but the firm declined to reveal the name of the company with which Li Ka-shing has been cooperating. It is not difficult to deduce which company with which Li Ka-shing has been cooperating: last year Li Ka-shing personally met Samsung’s chairman Lee Kun-hee, and they discussed their future business relationship and cooperation. Furthermore, Samsung has been working with Intel Corp for a long time on Samsung’s operating system “Tizen”; hence, it should be no surprise that we could see Tizen among the ranks of Anrdoid and iOS.